I have wanted to enjoy Xcape Cafe in all its glory forever, but always seem to be wandering by when the sporting schedule is light. 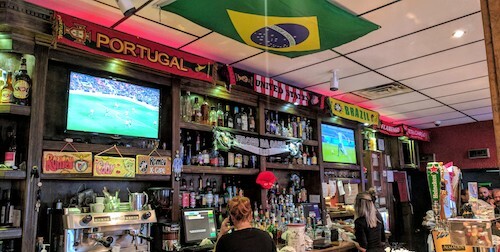 This Newark restaurant and sports bar is known as the place to go for Brazilian Serie A or other professional cups from this South American country that supplies the neighborhood with much of its population. There is futebol on every TV, with various broadcasts in Portuguese coming in from Brazil. 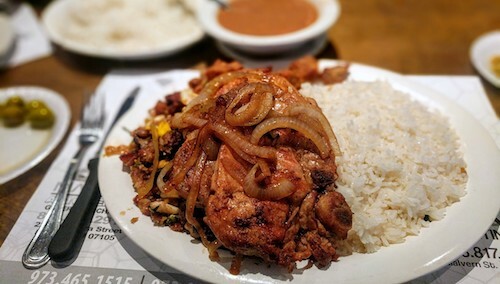 This meal took place on a recent weekend when the city cups of Rio de Janeiro and São Paulo were in full swing, and the restaurant was packed with hungry folks cheering on their favorite club from back home. The owner must be a fan of CR Vasco da Gama, a team from Rio that has their scarf front and center over the bar. Above that are the national team scarves of Portugal, the United States, and Brazil, covering about 95% of people that might wander in here. 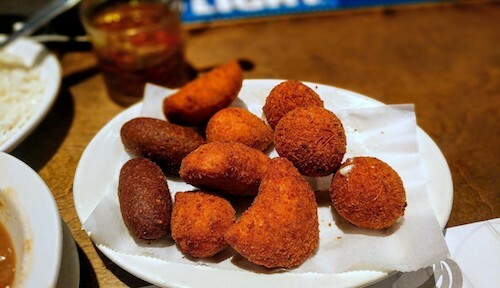 When dining here with a friend or in a group, it will be difficult to avoid a plate of their delicious salgadinhos (below), an assortment of fried goodies famous in Brazilian bakeries. The assortment provided here is top notch. Besides the lengthy normal menu, there is a page of specials that is printed exclusively for each day. Many of the items repeat during the week, but this is where you will find some of the most interesting options. Each plate will feed two people or provide plenty of leftovers, so the $15-20 price points are really economical for what is offered. 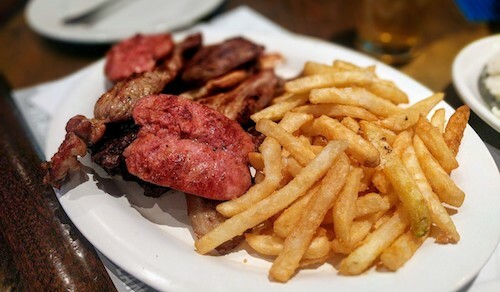 The $18 mixed grill (below) was on the special menu on the night of this visit, a plate of various churrasco, all seasoned to perfection. It led a dining companion to exclaim it was the best meal he had eaten in 2018 so far. The feijão tropeiro ($16.50, below) sounded delectable and was translated on the menu as "western style." 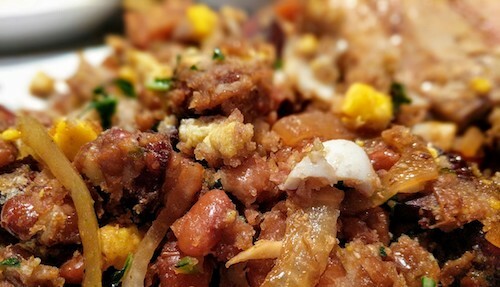 It combines traditional meatless feijão with bits of sausage, chicharrón, and bacon, a protein-heavy meal originally designed for cattlemen. You also have the option to add a grilled pork chop to the top of this, seen below. They serve a spicy sauce when your dishes arrive, and this fiery stuff is great to lace your beans with. A closer look shows bits of egg and farofa, or toasted cassava flour. The all-female staff here sort of falls into the Latinx stereotype for a sports bar for men, but the restaurant is full of women and families, and everyone is so friendly. 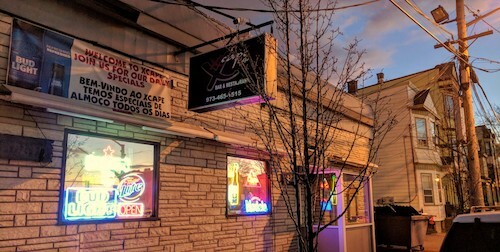 With a good match to watch, their full bar will get a good workout and makes this place one of the best to come in the neighborhood when some are limited by New Jersey's strict liquor licensing.